With the advancement in technology, protecting your data has become a difficult task. Previously, passwords and keys were sufficient to make your information confidential, but with the sophisticated attacks, the need for an appropriate access system has become a must. It is essential for you to set up an appropriate biometric control system to secure the access to your data. Biometric system acts as a tool to count an employee’s attendance. Biometric system is a unique way to prove an individual’s identity. It comprises of physical and behavioral characteristics like fingerprints, face, iris, voice, etc. Hence, with accuracy the biometric system can verify your identity. Do you need biometric security for safeguarding your computers, server rooms, business assets, etc.? Haven’t found yet? 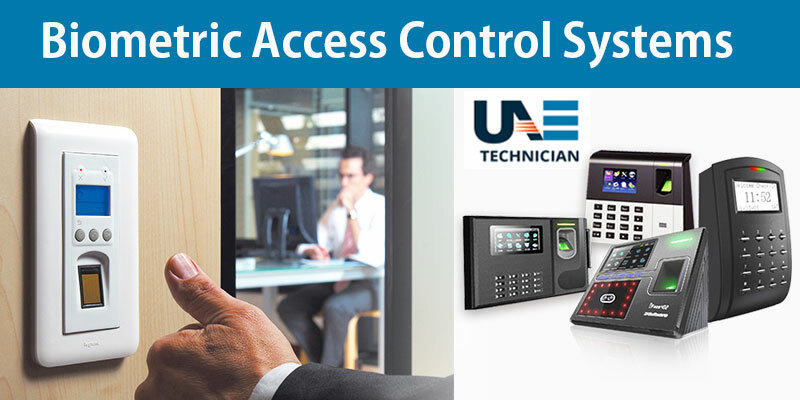 Contact our experts at UAE Technician for a comprehensive biometric access control services. The problems mentioned above are serious and if not attended properly can make your situation worse. Therefore, taking our professional’s help is a mandatory step. In order to restrict unwanted entrance to a property, room or building, the need for an access control system is a must. You can gain access control through various means like lock and key, mantraps, etc. but above all is the biometrics system. Even though your biometric device is working properly, it might happen that it has stopped working all of a sudden due to some technical glitches. Let us know about the problems you are facing and we will provide you with instant solutions accordingly. We make sure that your security reaches a different level once you contact us. Our team consists of professions who not only provide you with biometric access control services but also provide you with safety tips. In addition to this, we provide you with services at a budget-friendly price. As a matter of fact, it is essential for you to avail our services in order to enhance your security. We care about your security, so you can easily rely on our services. Seems like you are searching for biometric access control services in Dubai. Do not panic; your search ends with us. If you are thinking that your biometric device will perform until eternity, you are wrong. All electronic devices undergo failure at some point or the other and same is the case with your biometric device. No matter how severe the problem is, it is essential for you to take an expert’s opinion to fulfill your queries. Reach us through phone calls, text messages, and emails. Additionally, we accept feedbacks from our customers which in turn helps to improve our services. Our team works hard when it comes to providing you with security services. Say no to sleepless nights and safeguard your property. We also provide Fiber optics solution in Dubai.